Fading 4 (This creature comes into play with four fade counters on it. At the beginning of your upkeep, remove a fade counter from it. If you can't, sacrifice it.) 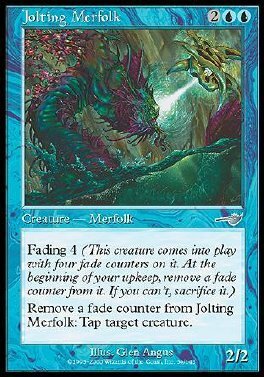 Remove a fade counter from Jolting Merfolk: Tap target creature.